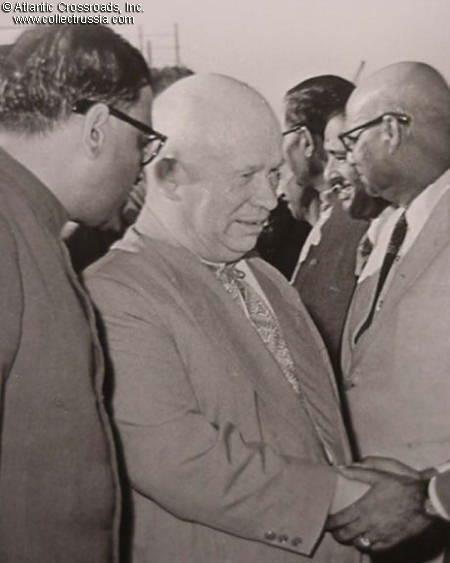 Nikita Khruschev during state visit to India, 1960. 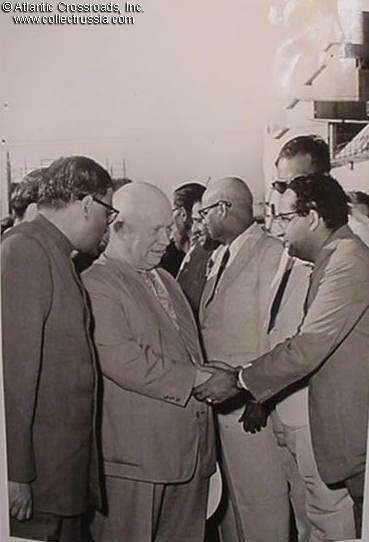 He is shown shaking hand with a local official at the Bhilai Metallurgical Plant - that the Soviets must have helped to build. Official photograph, excellent condition. Verso shows press release stamp of the Novosti Press Agency in English, and attached reference note in Russian. Size 6 1/2 ? x 9 1/2?